There are several female English chefs who have built a strong reputation for good quality food, recipes and the ability to impart this information to others. 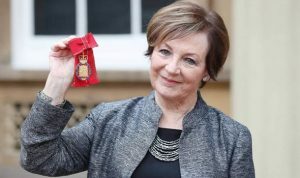 Delia Smith has been a mainstay of British television for several decades. She demonstrates recipes so that the complete beginner can understand them and her books have sold extremely well over the years. She left school with no qualifications and prior to becoming a chef worked as a hairdresser and a shop assistant. She started work in a restaurant at the age of 21, where her role was to wash the dishes before they allowed her to help with the cooking. However, she taught herself to cook, studying recipes in books at the British Museum’s reading room. She later moved on to journalism as a food writer for a national newspaper. In the early 1970s she moved on to television, hosting a number of different series designed to help the viewing public to spend more time producing nutritious meals. Nigella Lawson was born in 1960, the daughter of a British politician. Educated at private school and Oxford University, she first became a restaurant critic and worked for the Sunday Times newspaper in the 80s as the deputy literary editor. She then went on to be a freelance journalist and published ‘How to Eat’ in 1998, her first cookery book. It was an immediate bestseller. Her second book followed two years later, ‘How to be a Domestic Goddess’. Several television series followed, both in the UK and the US and she has also launched her own cookware range. She is just as famous for her personal life as for her cookery work, but it is her unique style as a cookery presenter that brought her to the attention of the viewing public.